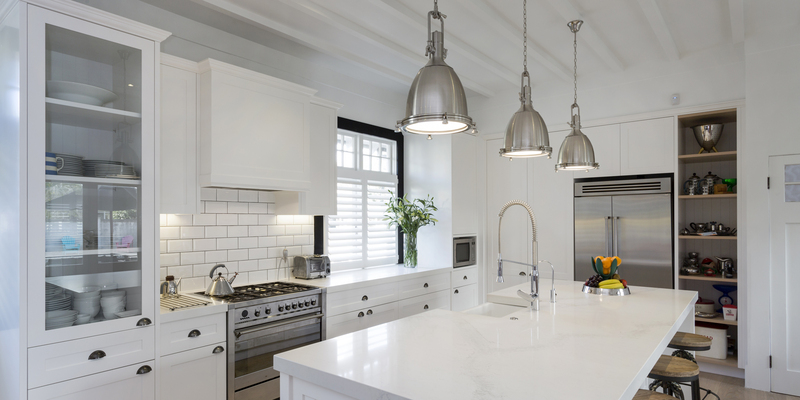 Kitchens By Design | Kitchen Design for Discerning Clients : Landscape Road. 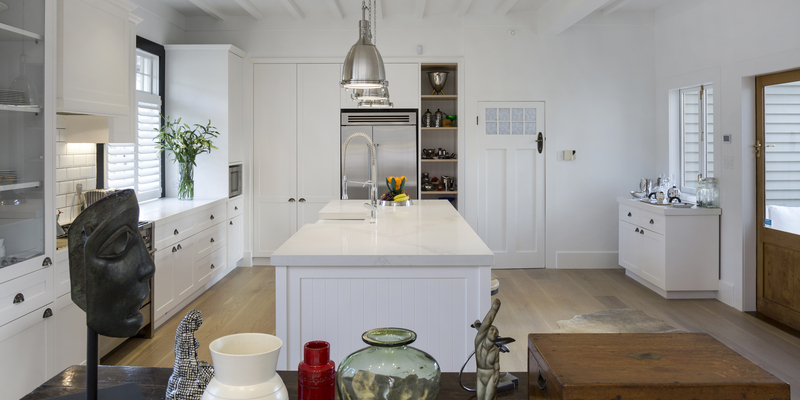 This modern, entertainer’s kitchen was part of a major renovation of an older style home and, as with many kitchens we install, it proudly stands at the centre of a new open-plan living area. 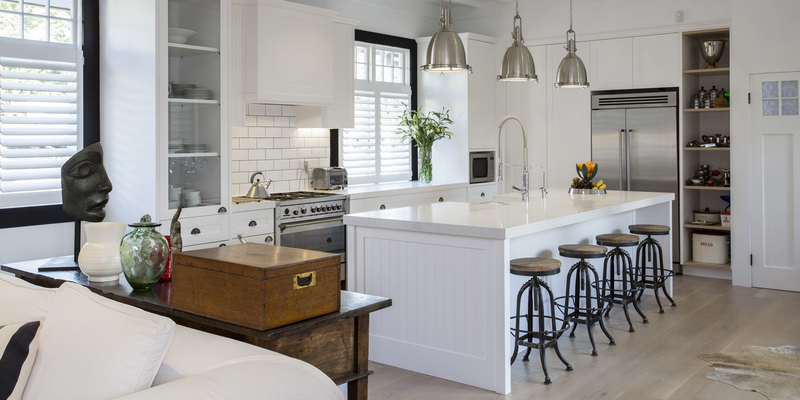 The kitchen has a predominantly white colour palette, with some subtle black accents, such in the architraves around the windows, and in the grouting of the butchers tile splashback. The only other deviation from white, is the tall bank of built-in shelves, in French oak, that match the floor. 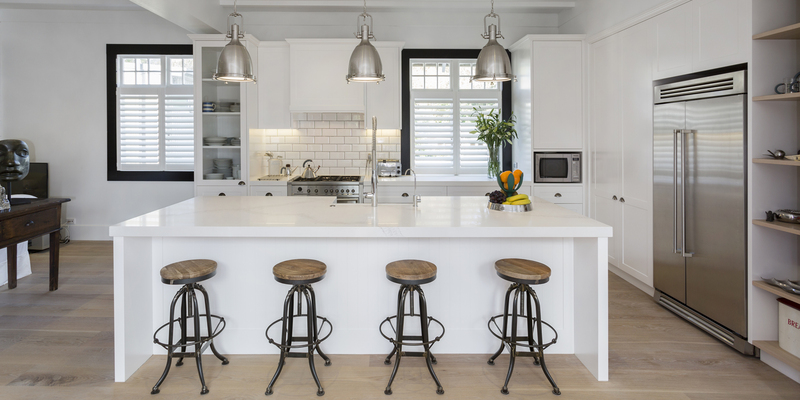 The large central island is the workhorse of the kitchen, containing a butler’s sink, double dish-drawer and trash compactor, as well as offering a pleasant place to pull up a stool and chat to the chef. Above the island hang three large aluminium lights – they’re old fashioned, but have a contemporary, maritime feel to them. 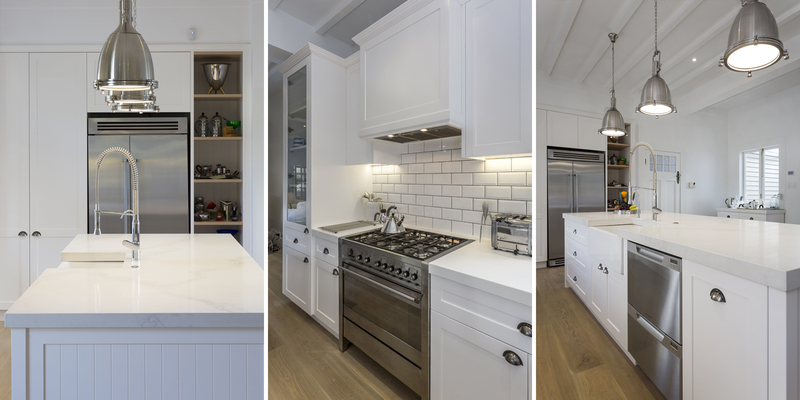 Brushed metal surfaces can also be found on the double-door fridge and the six-burner range on the back wall. 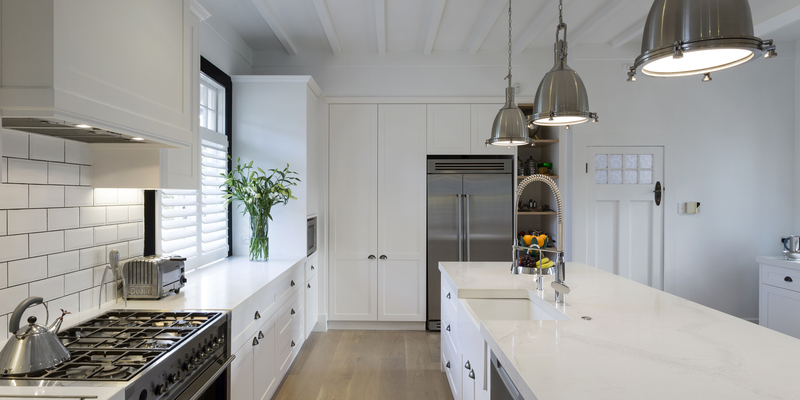 The large central island is the workhorse of the kitchen, containing a butler’s sink, double dish-drawer and trash compactor.